X2 Stands of personalised bespoke cupcakes. View our cupcake gallery. 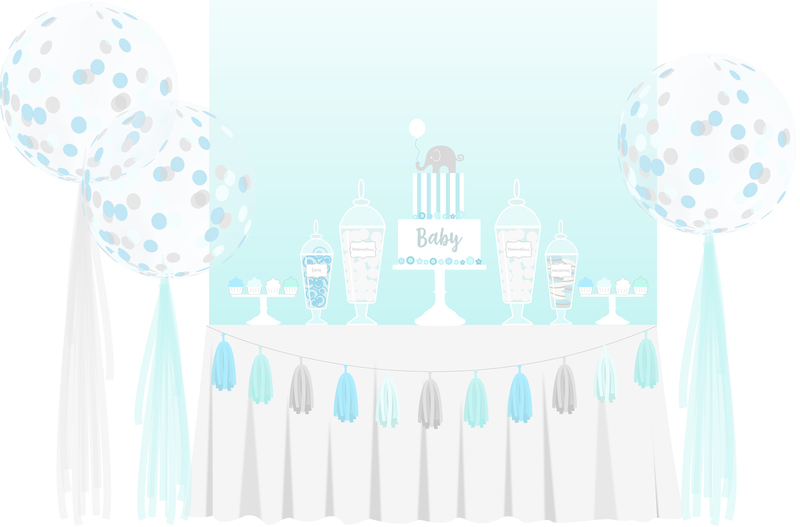 X3 Round giant confetti filled baby shower/ christening balloons with tulle tails. All Antonia’s candy buffets are decorated with personalised sweet labels, ribbon detail and come with sweet scoops and treat bags. 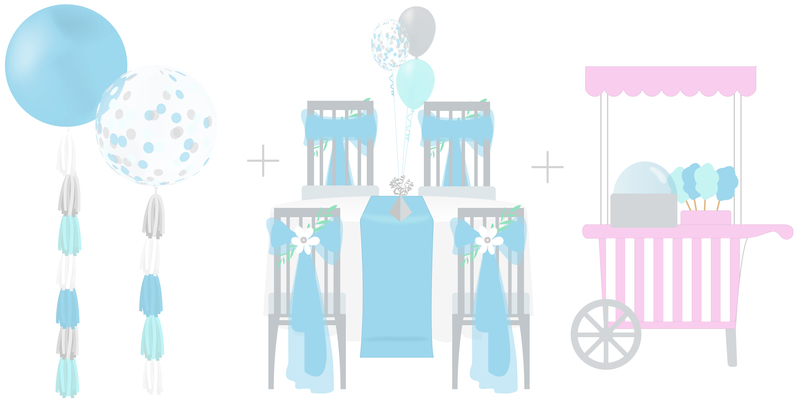 For additional baby shower/ christening balloons see our balloon chart for more information. X3 Giant round 3ft confetti filled balloons with tulle tails. labels, ribbon detail and come with sweet scoops and treat bags.